Here’s another one from the you-can’t-make-this-stupid-sh*t-up department. 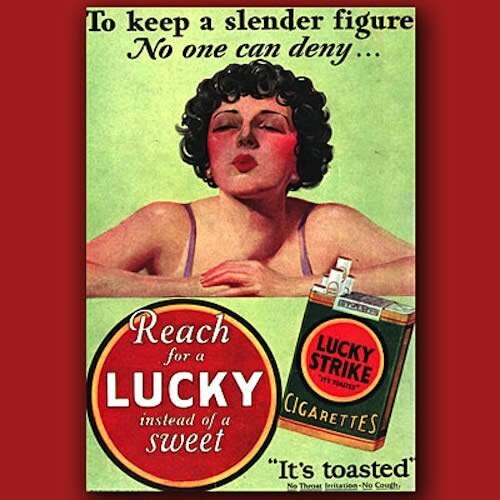 Can you believe that in the days before cigarette smoking was passe, tobacco companies actually marketed lighting up as a weight loss tool?! The cigarette diet did work out well for lots of people: They got skinny as a skeleton after dying of lung cancer.